Source Tagging is the process of applying an Electronic Article Surveillance (EAS) or Radio-Frequency Identification (RFID) Label or Hard tag to a retail product’s packaging or the product itself at the point of manufacture or packaging. Essentially, retail product vendors, consumer goods manufacturers, and product packaging companies are required to embed Acousto-Magnetic (AM), Radio-Frequency (RF) or RFID labels or hard tags into products or product packaging before the products are shipped to retailers. This allows retailers to eliminate the high cost and inefficiency associated with in-store tagging, and the process of moving the products out onto the sales floor is much quicker. Whether a product must be tagged with an AM, RF or RFID Label or Hard Tag depends on what type of detection systems the retailer has installed in their stores. The adhesive labels are typically applied to hard goods, while the hard tags are used for apparel tagging. 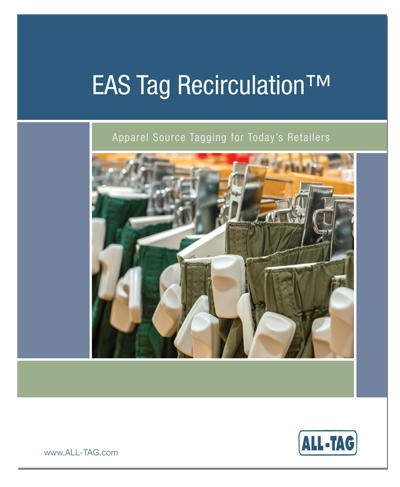 Please refer to the White Paper on this page for more information regarding tagging apparel at the source with our Hard Tag recirculation services. Not only is our Tag Recirculation service the most cost-effective, efficient, and secure way to tag apparel, it is also the only environmentally friendly method of apparel tagging. 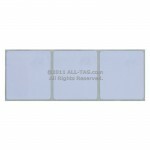 ALL-Tag is a global manufacturer and supplier of RF, AM and RFID labels and hard tags. Our distribution centers around the world ensure immediate deliveries to any retailer’s source tagging vendors. ALL-TAG has been helping retailers and their source tagging partners begin and sustain efficient tagging programs since the year 2000. Providing source tagging services and manufacturing products to be used for source tagging is our core business, specialty, and expertise. 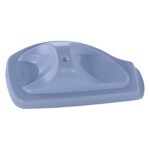 There is currently a large number of retail companies around the world that source tag their merchandise. For example, Kohl’s, Target, Dollar General, CVS, Walgreens, Family Dollar, Rite Aid, Aldi, Fred Meyer, Tesco, Carrefour, Urban Outfitters, Metro, Sainsbury, Barnes & Noble, Big Lots, Lid1, Dixons, Best Buy, Staples, Office Depot, Walmart, JC Penney, Kroger, New York & Company, Banana Republic, Lululemon, El Corte Ingles, and Matalan all source tag some of their merchandise. At the bottom of this page, we have listed these retailers according to the type of security label or security tag they use to source tag their hard goods or apparel. ALL-TAG is currently involved in source tagging with some of the retailers in this list, but not all of them. 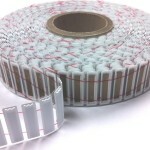 Please contact us for more information about retailers and their source tagging requirements. Please keep in mind that this is a dynamic page because source-tagging requirements often change. We will make sure this page continues to be a great resource by keeping it current and updated. The All-Tag Labels are paper thin, self-adhesive tags used to protect any type of non-metallic, hard goods item such as film, video tapes, books, cosmetics, and pharmaceutical items, or security cases for CD or DVD protection. 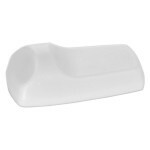 Available in Plain White, Barcode, and Thermal Paper. Organized Retail Crime (ORC) is a huge problem each year for retailers trying to reduce shrink. 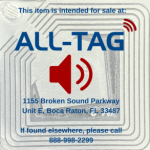 All-Tag’s new RF Branding Label was developed to help retailers reduce OCR by eliminating the possibility for stolen retail merchandise to be resold to other retail stores. 24% smaller than Sensormatic® APX (DR) Labels, so retailers can now protect smaller merchandise they couldn’t tag before. Compatible with TYCO/Sensormatic and other Acousto-Magnetic (AM) 58 KHz EAS Systems and Deactivators. The Sensormatic Visible Source Tag or VST tag was developed for Apparel Source Tagging, which means the tags are attached to apparel at the manufacturer source instead of in retail stores. After the tags are removed from the apparel at the point of sale, they are simply thrown away. Authentic, Secure and Reliable Sensormatic SuperTag Tags. SuperTag I and SuperTag II brand new or pre-owned, and we guarantee their quality and authenticity. 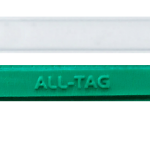 This RF Source Tag is an attractive, lightweight tag that is well suited for our hard tag recirculation® program for source-tagging apparel. 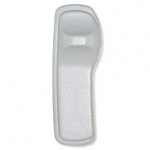 It is very similar to the Checkpoint security tag that is used for apparel source tagging. 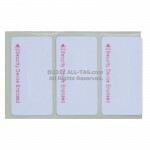 This Ink Tag offers retailers an attractive and secure AM or RF hard tag/benefit denial ink tag combination. The tag is equipped with two ink vials, an AM or RF circuit, and a SuperLock Clutch. A clear plastic, dome-shaped pin is used to connect the tag to retail merchandise. Electronic Article Surveillance (EAS) Source Tagging and EAS Tag Recirculation™ are playing a large role in the evolution of retail logistics and loss prevention. Retailers realize that in-store tagging is very expensive, time-consuming, and highly inefficient, and they are looking toward solutions that move EAS tagging to the most economical place in the logistics chain – out of the store, and back toward where the merchandise is manufactured. Below is a list of the largest retailers that require their vendors to source tag with RF Labels, AM Labels, Hard Tags, or Ink Tags.